Why should people exercise? Exercise is important because it is proven that it gives you numerous health benefits. Regular exercising can prevent most life-threatening diseases such as diabetes, heart ailments and even cancer particularly breast, colon and prostate cancers. Below are the healthy effects you can gain if you become more physically active even for just 30 minutes a day. 1. Longer life span. Benefits of being active include helping people to live longer. Exercise can protect you from illnesses such as heart attack or stroke that can cause death. Your life will also be of higher quality because you are healthier. 2. Brain protection. As you grow older, your brain also ages. Brain cells grow old and die. You become forgetful as your memory diminishes. Why is exercise important for your brain? New brain cells can grow when you exercise regularly. Memory loss is prevented and your memory is enhanced. People who exercise are better protected from dementia than those who are couch potatoes. 3. Heart protection. Why is exercise important to your heart? Cardiovascular diseases are prevented when you move constantly. Exercising makes your heart stronger. It normalizes blood pressure which reduces your risk for different types of stroke. 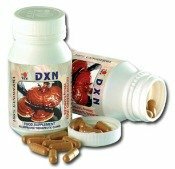 It burns fats, increases HDL cholesterol level and reduces LDL cholesterol level. It prevents blood clots. For more protection, eat fresh vegetable salad sprinkled with ground flax seeds and extra virgin olive oil often. 4. Type 2 diabetes prevention. Why should people exercise? Exercise is important in preventing the level of glucose in your blood to increase beyond what’s normal. A high level of glucose leads to type 2 diabetes among people. 5. Builds strong muscles and bones. Regular exercise benefits your bones as it delays bone loss and protects against osteoporosis. It also helps you prevent and manage arthritis because exercises such as walking aids in weight loss and weight control and makes the tissues around the joints strong. 6. Better sleep. Being physically active during the day helps you fall asleep more quickly at night. You also sleep more soundly and more deeply. 7. Healthier digestive system. Exercising prevents constipation and even irritable bowel syndrome or IBS. This protects you from rectal or colon polyps. 8. Healthier alternative to hormone treatment for postmenopausal women. Estrogen is often prescribed to manage post menopause symptoms but it can sometimes cause more harm than good. Too much estrogen in a woman is one of the risk factors for breast cancer. 9. Better sexual functions for both men and women. Exercise prevents erectile dysfunction and even impotence in men. Being physically active also leads to a better libido for women. 10. Builds self-confidence. If you exercise, you become fit and toned. You look better which makes you feel good about yourself. The feeling adds to your confidence. 11. Exercise relieves stress. Exercising helps you manage stress. It helps you avoid being depressed because it can improve your mood. 12. Maintenance or loss of weight. Regular exercise together with a healthy type of diet such as Mediterranean diet foods can help you either to maintain or to lose weight. This is important because two of the deadly effects of obesity are diabetes and cancer. 13. Healthier immune system. As you age, your inherent immunity against diseases is also reduced. But decline in immune function is postponed with regular exercise. 14. Helps pregnant women. Exercising prepares your muscles and heart in giving birth and also reduces risk for eclampsia and other complications. 15. Prevention against cancer. Exercising prevents hormone-related types of cancer such as colon, breast and prostate. Now you have 15 reasons why should people exercise.